Kate’s craft business began as a hobby alongside her career in retail interiors. 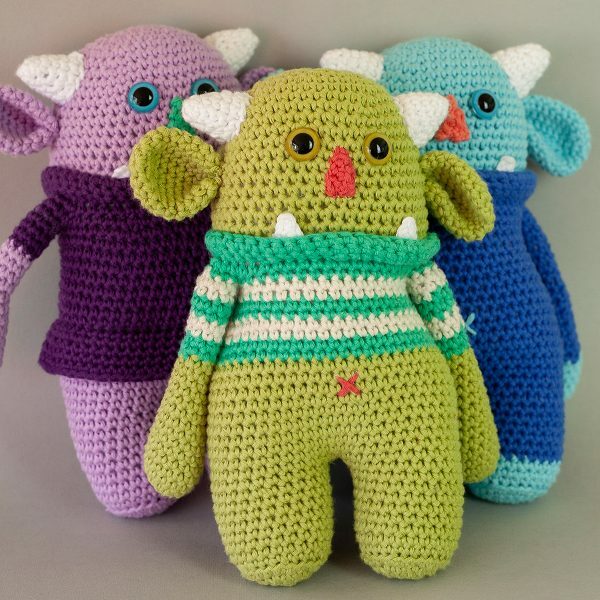 Since 2008 she has developed a range of sock monsters, craft kits, patterns and also published four craft books. Her recent love of crochet has now evolved into a range of soft toys from ogres to astronauts. 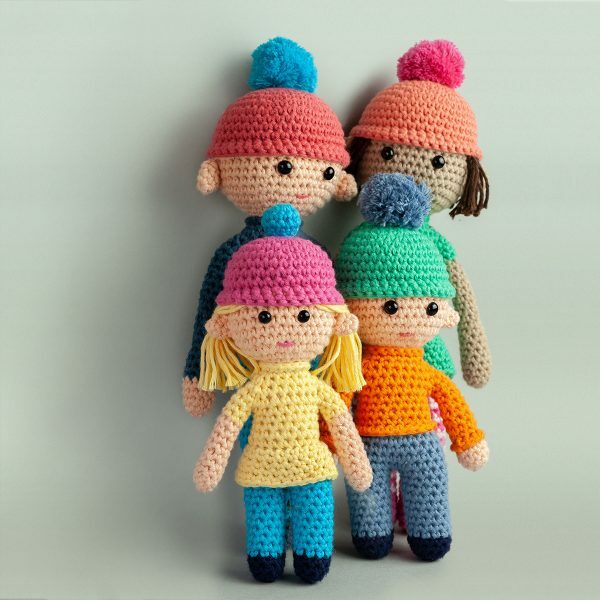 All crochet toy designs have passed CE safety tests and are suitable from birth. Ogres : Large ogres crocheted from 100% cotton yarn, 25mm tall. 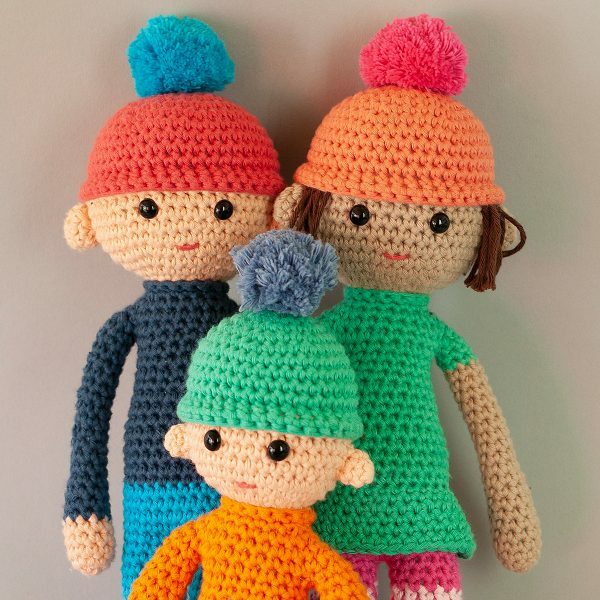 Dolls crocheted from 100% cotton yarn 23cm – 30cm. 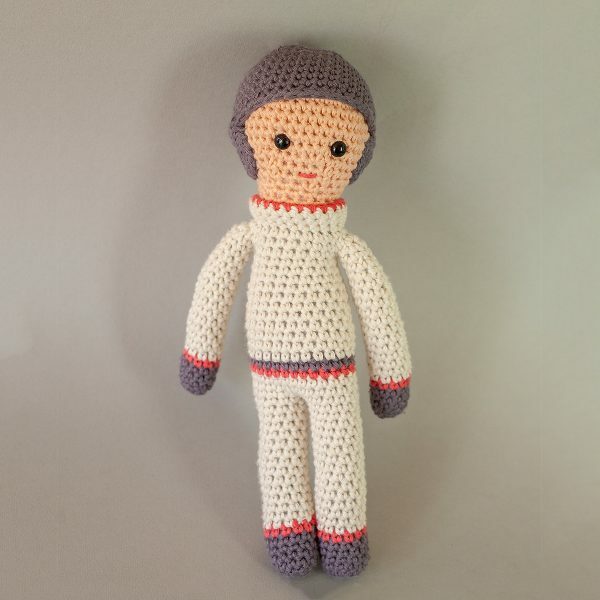 Astronaut crocheted from 100% cotton yarn. 30cm tall. Close up shot of family.